The crash occurred as Stockton resident Steven Rivera, age 36, was riding north at around 9:30 in the evening. For unknown reasons, his motorcycle left the highway where he lost control of the vehicle. A representative of the California Highway Patrol (CHP) reported that at this point he was ejected from the 2009 model Harley-Davidson that he was riding and was killed in the accident. It was reported that there were no other vehicles involved in the crash. The deceased rider was identified the next day by the coroner’s office for Sacramento County. My sympathy and prayers go to the family and friends of Mr. Rivera, for their tragic loss. According to the California Office of Traffic Safety, there were 421 injuries and deaths caused by motorcycle accidents in Sacramento County in 2014. This placed the county at number 22 in ranking out of 58 California counties. Nationwide, there were 4,693 fatalities of motorcycle riders in 2015 as reported by the Insurance Institute for Highway Safety. Understanding the reasons for motorcycle accidents and instituting safety measures may help reduce the number of injuries and fatalities each year. Helmets are mandatory for motorcycle riders in California. Any helmet worn must be in compliance with U.S. Department of Transportation safety standards. The DOT points out that approved protective helmets can reduce head injuries to motorcycle riders by 50 percent. Appropriate clothing adds a layer of protection if the rider is involved in a crash. A leather jacket, jeans (with or without chaps), boots and gloves can help prevent injuries. Excessive speed contributes to the majority of motorcycle accidents. It is important to remember that the higher the speed, the more likely an accident will occur. It is especially important to guard the bike’s speed when going around a curve. Drunk driving is a common contributing factor to motorcycle accidents. This is because drinking impairs judgment, adversely affects vision and slows reaction times. Lack of proper maintenance of a bike and lack of appropriate motorcycle equipment contributes to accidents. A worn tire that results in a blowout or poorly maintained brakes can create a hazardous situation. Roadway damage caused by poor road maintenance, objects in the road and loose gravel can contribute to a spill. I’m Ed Smith, an Elk Grove motorcycle accident attorney. 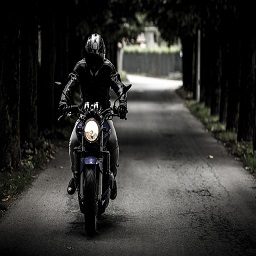 While some motorcycle accidents are caused by driver error, others are caused by the negligent driver of a motor vehicle, motorcycle defect or poor roadway maintenance. If you have been injured or have lost a loved one because of negligence, give me a call at (916) 694-0002. I have friendly and free advice to offer you. Outside the calling area, please use the toll-free number at (800) 404-5400. Having worked as a California injury lawyer for 35 years, I have been honored to have represented many victims of traumatic injuries or who have suffered a wrongful death in the family. You owe nothing until your case reaches a successful conclusion. Verdicts and Settlements, located on our website, has a list of some former cases and the results that I and my legal firm have obtained for clients. I am an accident lawyer in the Million Dollar Advocates. This is a group for trial attorneys with proven records of verdicts or settlements of at least one million dollars for their clients.